What do you do when life has you stressed? Pick up your crayons and color, of course! Many grown-ups are finding out what kids have known for years: coloring provides a relaxing, stress-relieving pastime — and it’s fun! The trend is on the rise, with intricate coloring books populating bestseller lists and coloring communities popping up on social networks. Art fans are taking their hobby offline as well, hosting coloring parties that serve as a chance to unplug and relax with fellow enthusiasts. And what better place to throw a party and celebrate a new hobby than the library? Still not sure your community members will be hooked on coloring? 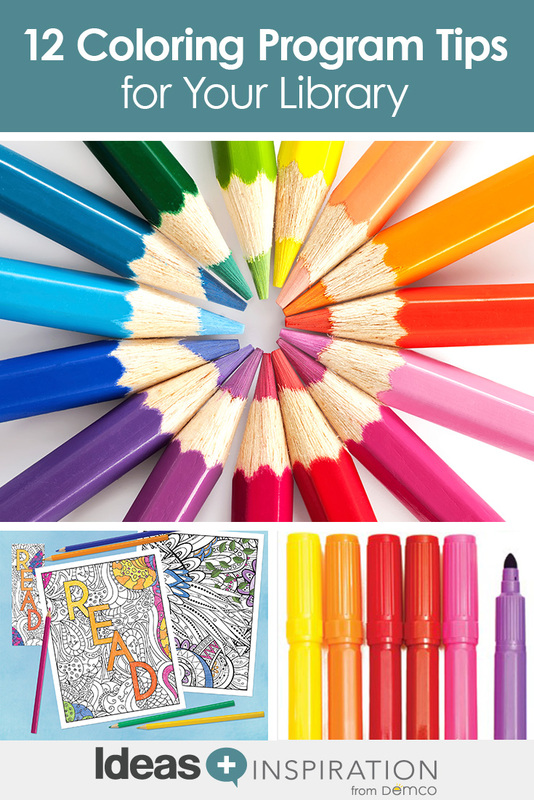 Sharpen your pencils and try your hand on a few coloring pages yourself. Then (if you’re not so relaxed that you’re seeking a quiet place to take a nap afterward) read the tips below to help you plan your coloring program or adapt one you’re already running. Consider making your program intergenerational, inviting adults to bring their kids or grandkids for some screen-free time. Have both adult and children’s coloring pages available, as well as crayons and colored pencils. If you decide to limit the program to adults, advertise it as Coloring Therapy and play relaxing music while participants de-stress. Promote the wellness benefits of coloring, such as taking time out from daily stressors, reducing anxiety and promoting meditation—all proven to reduce the mental and physical impacts of stress. Share some of the intricate coloring pages you’ll provide during the program on your promotional materials so adults can see the appeal of the designs. Have a variety of designs for participants to choose from, and, if possible, provide artist-quality colored pencils. To prevent colored pencils from rolling, contain them in multiple baskets around the room. Don’t forget the sharpeners — everybody loves a freshly sharpened pencil! Make the program into a series, and combine it with a gripping audio book or podcast. The stress-relief combined with the hook of hearing the next chapter will keep participants coming back for more. Host a parallel teen program that features an audio book, or encourage teens to bring iPods and ear buds to listen to their own music. Create a display of drawing books and videos that might further interest patrons, including how to draw Zentangle and mandalas. Include this in your coloring program, or create a passive display with coloring sheets and colored pencils. For those in a school setting: make coloring a part of open houses or parent-teacher conferences. 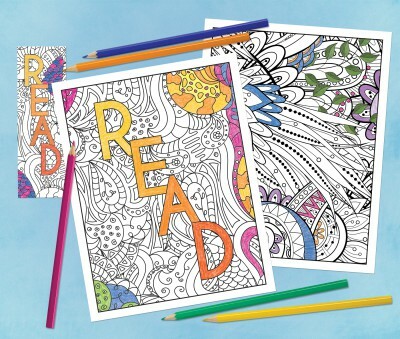 Give parents and students a chance to sit, relax and enjoy coloring together in the library. Create a display for their creations, and encourage them to take home pages to continue coloring together. Take your program on the road! Brainstorm local organizations that could benefit from an outreach coloring therapy program, such as children’s hospitals, assisted living homes, senior centers and shelters. Consider providing large, easy-grip colored pencils for adults with arthritis or participants with fine-motor difficulties. Solicit feedback from participants, including requests for audio books, coloring themes and days and times that work best with busy schedules. Have you hosted an adult coloring program or are you thinking about starting one? Do you have any favorite coloring books or tips to share with your colleagues? Send us your thoughts in the form below for a chance to win a free pack of Color Craze Bookmarks and Mini Posters from Upstart! Three lucky winners will be randomly chosen on March 18. Until then, keep calm and color on! UPDATE: Check out this post to find out who the lucky winners were and download The Librarian’s Ultimate Guide to Coloring Programs! Marketing Content Manager at Demco, Inc. Previous How One Library Is Boosting Literacy With 1,000 Books	Next Want to Know the Best Makerspace Tools for Your Money? I had ordered the color craze bookmarks, just because I thought they were cool and thought maybe my students in the library would think the same … boy did I miss judge … not only did my students think they were cool, they loved them and wanted all the patterns! I used the bookmarks as rewards when completing a state test that I was proctoring, something to keep them quiet while others were still testing … it worked out well, very well! I loved seeing both my teen gals and guys coloring! Very relaxing! So happy to hear that, Jennifer! I love the way you’re using the bookmarks during testing! I’ll be sure to share this tip in our follow-up post. Upstart has new designs coming out in mid-March, so your teens will have new patterns to tackle. Thanks so much for your feedback—great ideas! We market it to our older students (7th and 8th graders) as a Friday Afternoon Decompression Session in the After Care program for older kids; they love it. They bring their jams and just let the cares of the week slip away as they color. It’s terrific and has continued to grow in popularity. I’m sorry you’re having troubles with the form. Everything seems to be working on our end. Please email me at lizb@demco.com, and I’ll help you diagnose the problem and make sure you get entered in the contest. Thanks! I’m so glad you enjoyed this post and are eager to add coloring to your library’s programming! 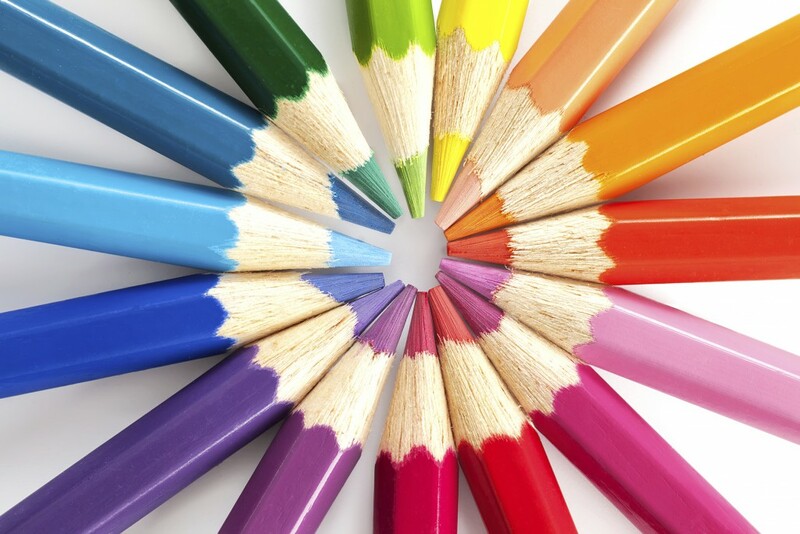 I like your idea about creating a Color Craze Activity Guide to bring coloring to students. While we don’t have this guide up and running quite yet, I think you would enjoy hearing from fellow teachers who shared how they implemented coloring programs at their schools. Try The Librarian’s Ultimate Guide to Coloring Programs blog post. Thanks again for reaching out to us! In our corporate library, we have weekly/monthly discussions in the library regarding library/information topics and people are offered coloring supplies to use while we discuss. Some people bring the same picture and continue coloring each week/month, which encourages them to come back for more discussions. Thanks for the wonderful ideas!! I absolutely ♡ adult and kids together. What an awesome way to include all patrons. Thank you for the compliment! We are excited about your efforts to bring kids and adults together. Let us know how your coloring programs go! We have Stress Free Zone corner where adults can sit and color while waiting for their kids doing their homework. If coloring is not their cup of tea, then they can choose from variety of puzzles to complete. We looking to invest in some hand-held devices such as Slinkys. It is really fun, and the adults asks for more.